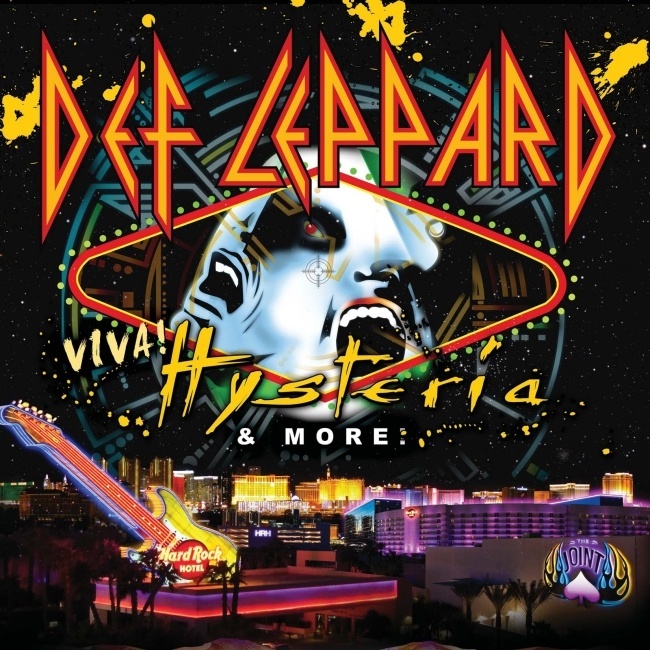 Def Leppard guitarist Phil Collen has been interviewed by Vegas.com about the 2013 VIVA Hysteria! residency. Phil was asked about the band's preparations for the residency which begins on 22nd March 2013. Phil talked about why the band decided to do the residency, performing the Hysteria album in full, playing in Las Vegas and the ups and downs of Def Leppard's career. "A lot of other bands do this stuff, but I think it's a little bit more special because 'Hysteria' was one of the diamond albums, especially in this day and age there are not that many albums that achieve that kind of status. That's why it's so important to us, it's such a big selling album. It's a challenge as well. We've never actually done that before. We've always said yeah we could do 'High 'n' Dry.' 'Hysteria,' that's a lot more challenging. A lot of the songs on there are hard to sing and play at the same time." "It's going to be the whole album. We'll probably do a greatest hits set, plus if people come to see you play a whole album, I think it gives us license to do stuff that we haven't done for years in the other part of the set. The other thing we've been talking about is just changing the set up every single night… We've got so much to chose from plus the hour-long 'Hysteria' set too."